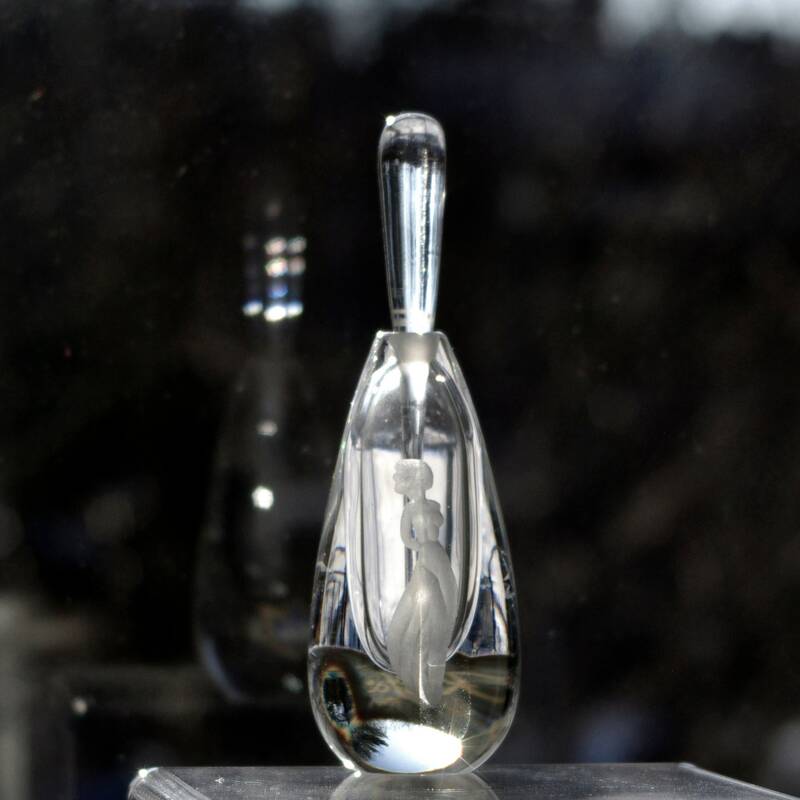 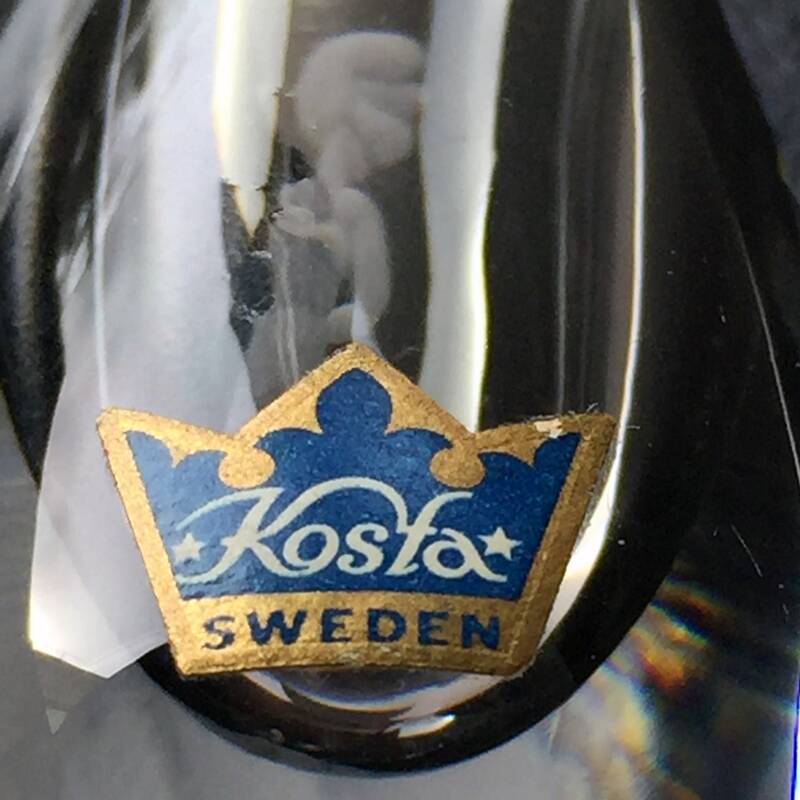 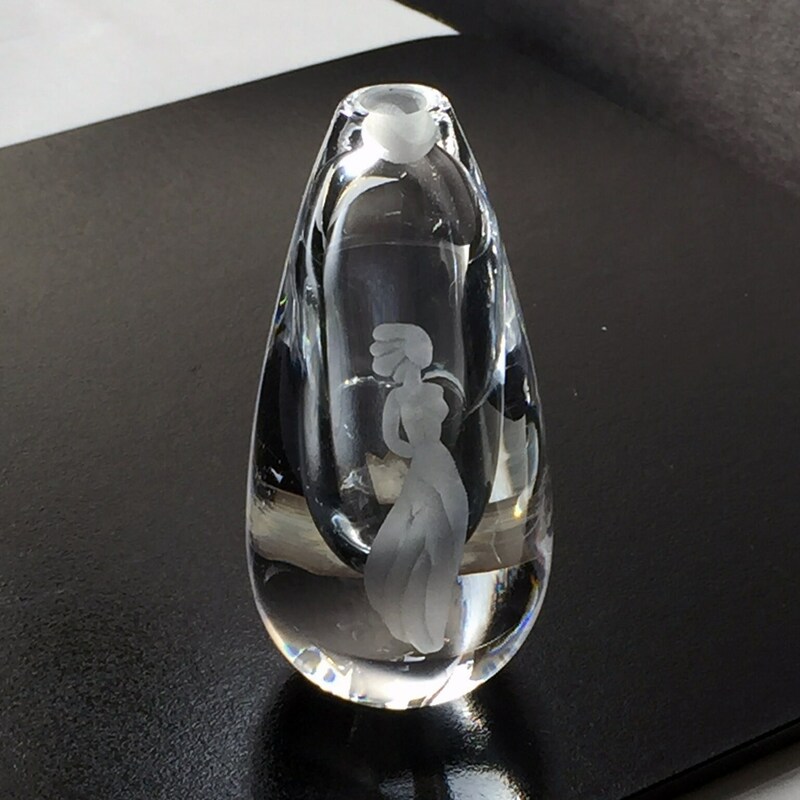 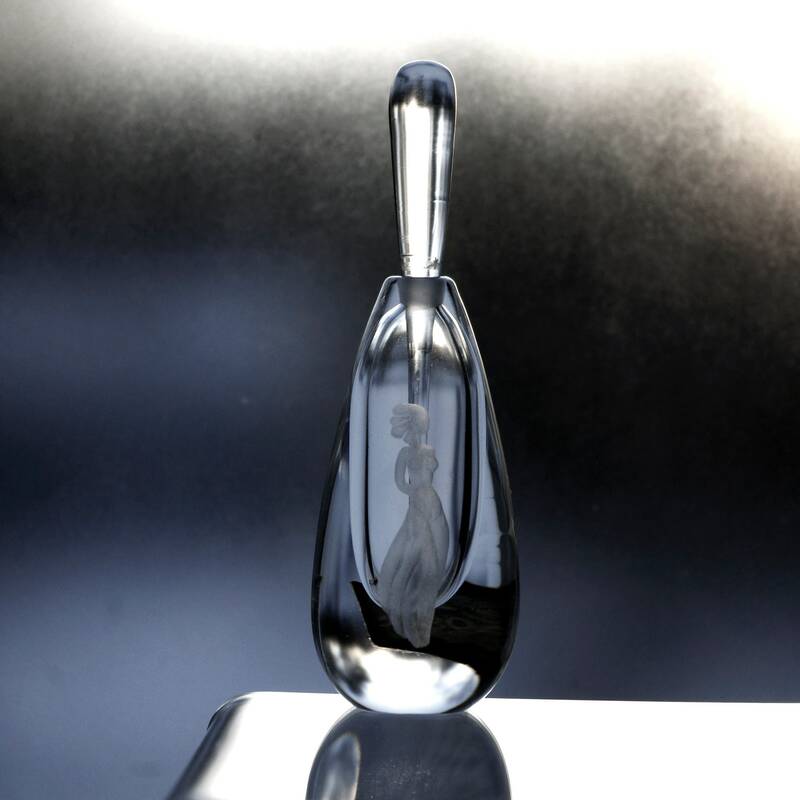 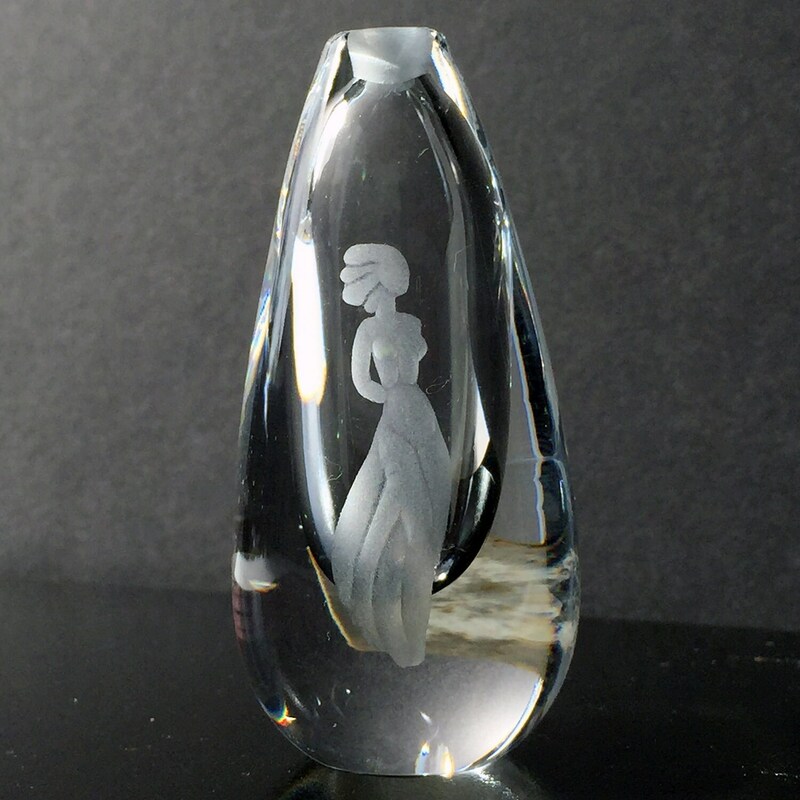 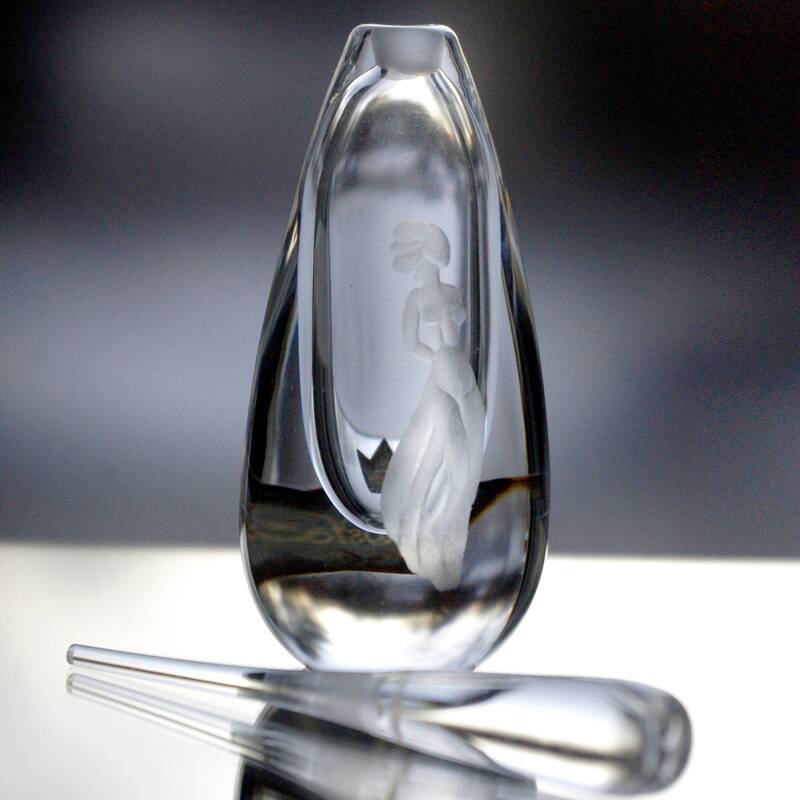 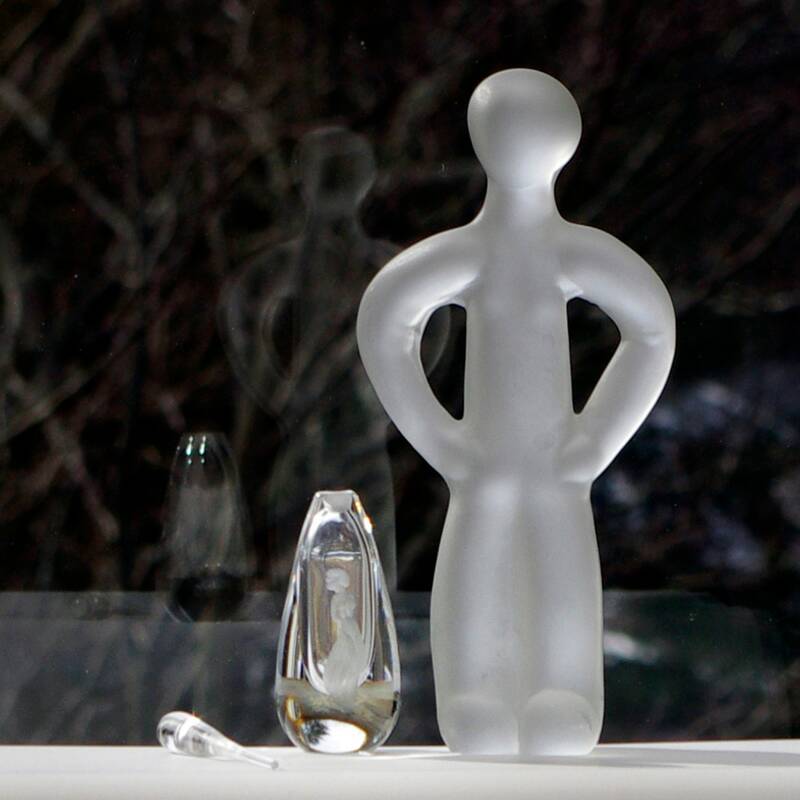 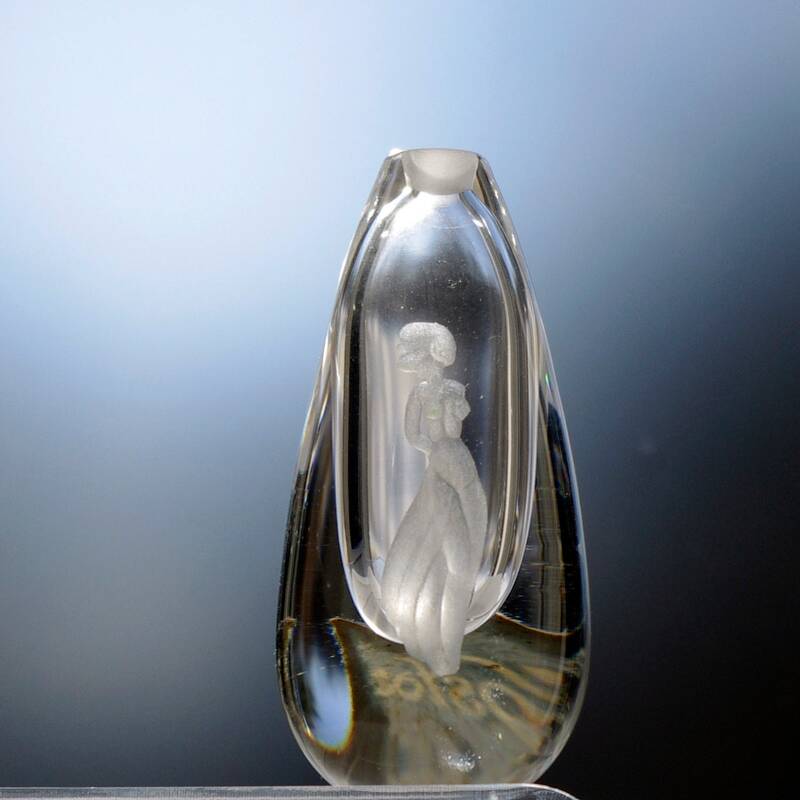 This exquisite Swedish perfume bottle and stopper were designed by Vicke Lindstrand in the 1950's at Kosta Glassworks (before the merger with Boda in the 70's). 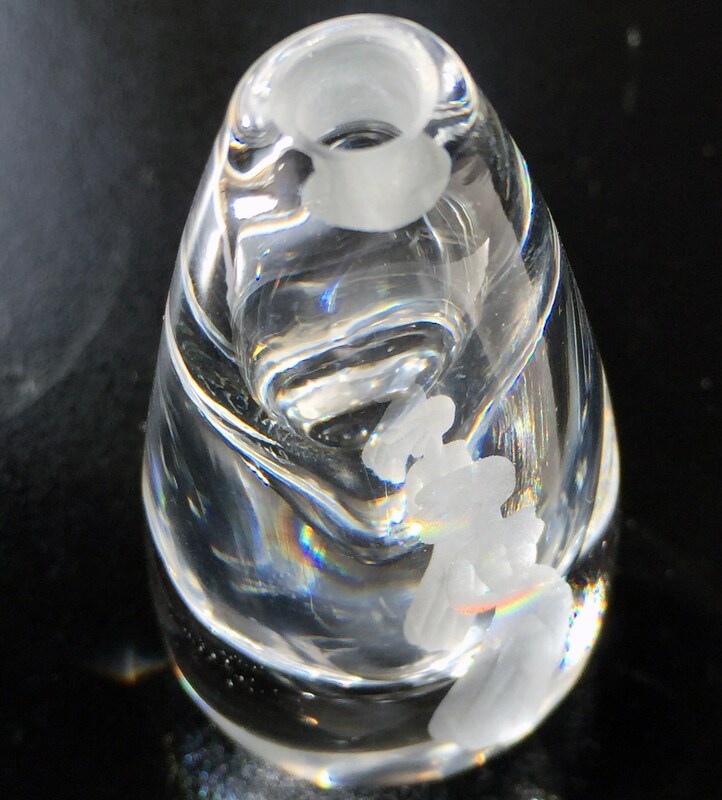 It is perfectly proportioned at a tiny 1.5" x 1.25" x 4.25" (38mm x 32mm x 108mm) and weighs just 0.29 pounds (0.13 kg). 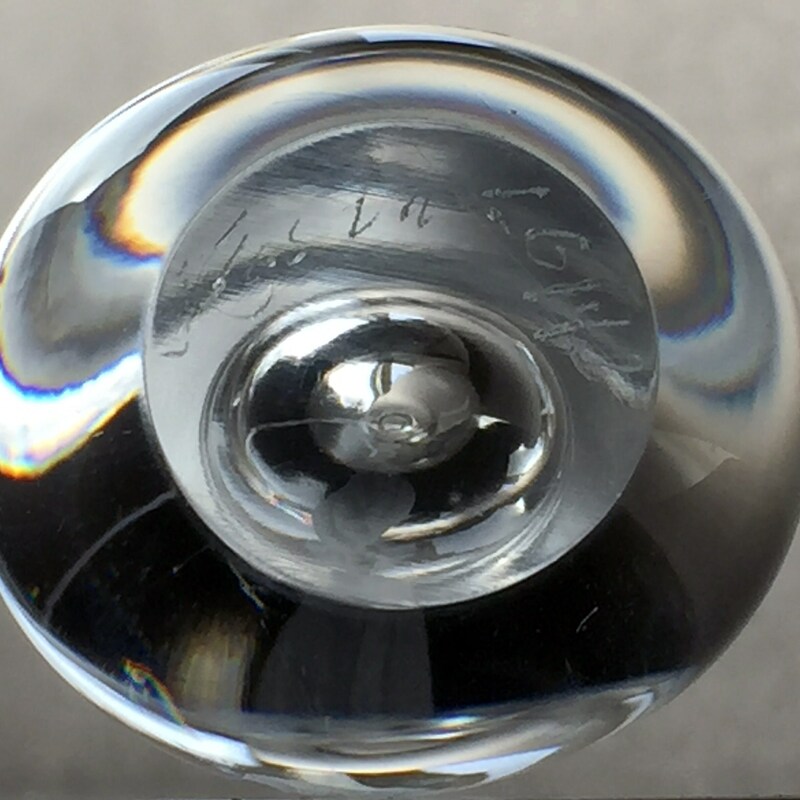 The stopper, or dauber, is perfect - a rare thing to find.